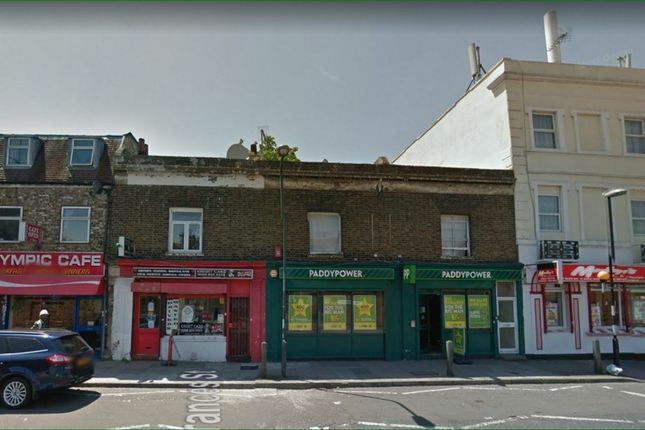 A magnificent Development opportunity, Ground floor shop in a good location, situated in London SE18, Full planning consent for Construction of two additional floors including alterations and additions to first floor, and new 4 storey rear extension for the creation of 6x1-bedroom flats, communal garden, and ancillary works. to first floor, and new 4 storey rear extension for the creation of 6x1-bedroom flats, communal garden, and ancillary works. The Ground floor shop is let to Paddypower on a 15 year lease from 2013. Walking Distant of Woolwich town centre and Woolwich Arsenal Station, DLR and the future Crossrail Station providing commuters with an array of services to choose from into Central London. Woolwich Town Centre provides a varied selection of shops, including Tesco, restaurants, bars, Pubs and other typical High Street facilities, and has recently been subject to significant investment and regeneration, which is driving significant capital growth. Call now on for more details. Property descriptions and related information displayed on this page, with the exclusion of Running Costs data, are marketing materials provided by Griffins Estates, and do not constitute property particulars. Please contact Griffins Estates for full details and further information. The Running Costs data displayed on this page are provided by PrimeLocation to give an indication of potential running costs based on various data sources. PrimeLocation does not warrant or accept any responsibility for the accuracy or completeness of the property descriptions, related information or Running Costs data provided here.